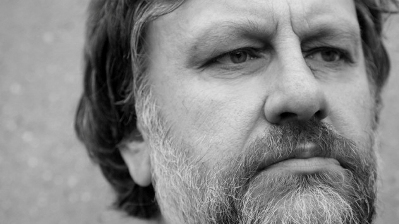 Abstract: Slavoj Zˇ izˇek has produced a plethora of books over the past 15 years (at the rate of over one a year), many of which are all curiously alike, as he recycles compulsively a limited number of key themes. Yet, one never feels any sense of sterile repetition. In revisiting a topic, he often sheds new light on it, and so continues the conversation he seems to be having with himself. Z ˇ izˇek is not much interested in establishing a rational, sensible dialogue with his readers. Instead, he is a firm believer in clear-cut positions. His writing is invariably crisp, provocative, and devoid of any coyness. One of Z ˇ izˇek’s favourite one-liners is (paraphrasing Freud): ‘Why are you saying that you’re only giving a modest opinion when what you are giving is only a modest opinion’.Z ˇ izˇek doesn’t ‘do’ modesty.